I used a recipe in the Pillsbury The Complete Book of Baking Cookbook that was published in 1993. It is a wonderful edition filled with wonderful recipes. You may be able to find a used copy at popular book sellers. It reminds me of an oatmeal bread that my Aunt made when I was living with her. This one has a nice herb topping. It takes some time to make, but is well worth the effort I think. Combine the boiling water with the rolled oats in a large bowl and stir. Allow to cool to 110-120. In your stand mixer combine the 1 1/2 cups of flour, sugar, salt and yeast. Use your paddle attachment to stir the ingredients to combine on low for just a few seconds. Add the cooled rolled oat mixture and the egg. On low speed, mix the ingredients until combined and then increase the speed to medium and mix for 3 more minutes. Add the remaining flour a little at a time and stir together with a spatula until it forms a stiff dough. Flour a surface and knead the dough for another 5 minutes adding in another 1/2 cup of flour or until the dough is no longer sticky. Let the dough rest on your kneading surface and tent it with a bowl. Spray your 9″x13″x2″ baking dish with a cooking spray. Spread the rested dough into the pan spreading it out evenly. Cut the dough with a sharp knife making diagonal cuts about 1 1/2 inches apart to form the bread. Spray plastic wrap with cooking spray and cover the dish. Then cover with a towel. Allow to rise for 45 minutes in a warm place (I love to use the top of my fridge). Heat your oven to 375F. Uncover the dish, Cut along your score lines again. 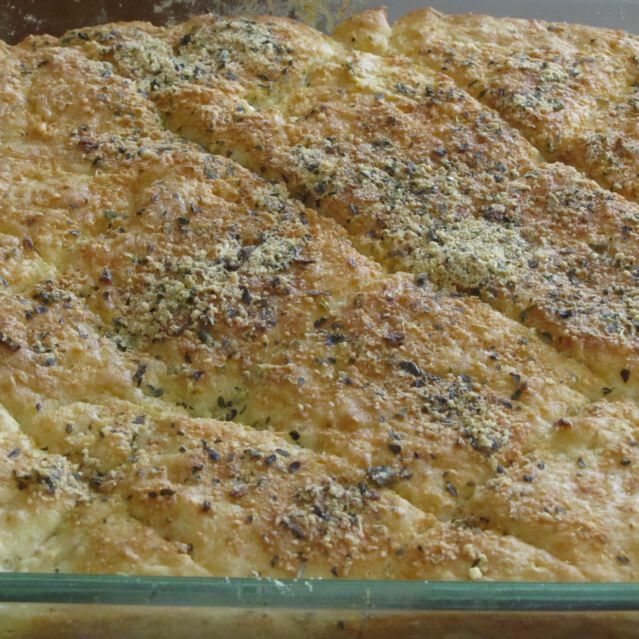 Combine the dry ingredients for the herb topping.Brush the tops of the bread with melted butter and bake at 375F for 15 minutes. Remove the bread. 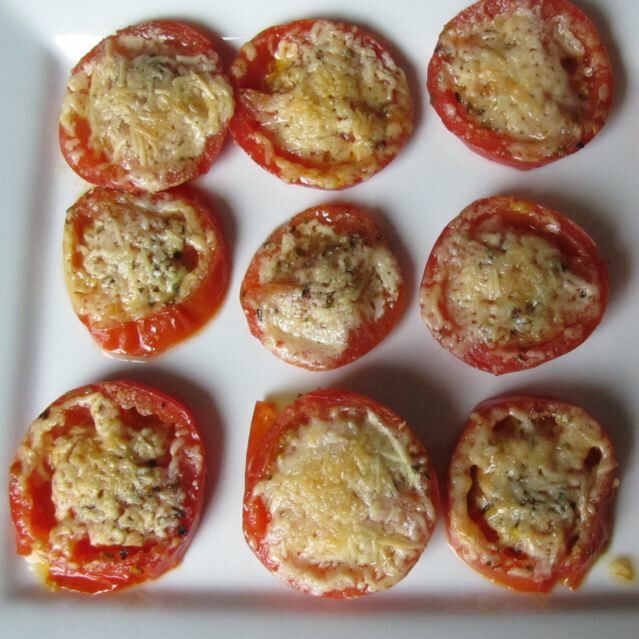 Brush the tops again and sprinkle evenly with the Parmesan Cheese and Herb mixture. Bake another 10-15 minutes. Categories: Baking, Baking - Bread | Tags: Herbed Oatmeal Bread, Oatmeal Bread, Oatmeal Pan Bread, Pan Bread | Permalink. The past month has been crazy! In one week I had a close friend die of cancer; another friend die suddenly of a heart attack, have sung in concerts, my son started little league in addition to all the other stuff that my family is already involved in. Yes, I now have something going on every single day of the week until mid May. The cloud of dust is settling again though and life is beginning to look normal, despite the busy schedule. After all that, I needed comfort food. Fried Comfort Food! In a medium bowl, combine the first 11 ingredients and mix thoroughly to combine. Place a wonton wrapper on a clean surface, place 1/2 tsp to 1 tsp crab filling into the center. 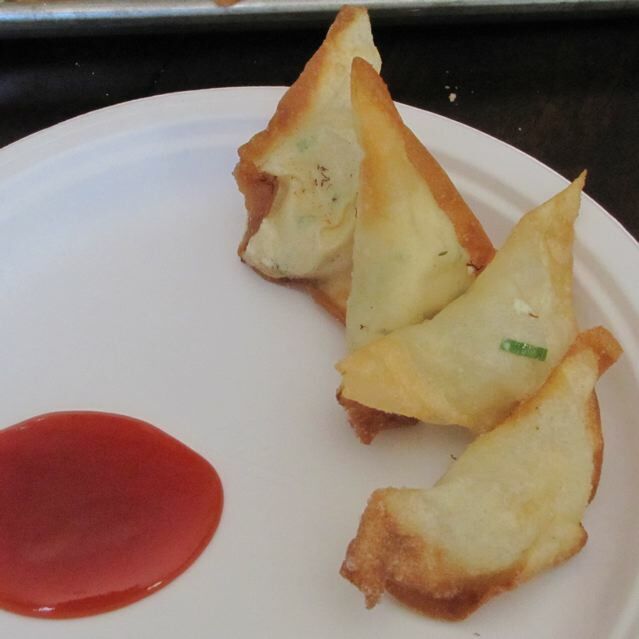 Moisten the edges of the wonton with water and fold the wonton in half diagonally, lining up the opposite corners. Gently press along the edge to seal. Cover the ready wontons with a damp paper towel to prevent them from drying out until you have finished making your wontons. Heat peanut oil in a stainless skillet over medium high heat. Fry the wontons in batches, being sure not to crowd them turning them over from time to time until they are golden (about 1 minute total). Remove to a wire rack and finish frying the wontons in batches. Serve with your favorite Asian dipping sauce. Categories: Appetizers, Ethnic, Ethnic - Asian, Snack Food | Tags: Crab Wontons, Fried Crab Wontons, Fried Wontons, Wonton Appetizer | Permalink.